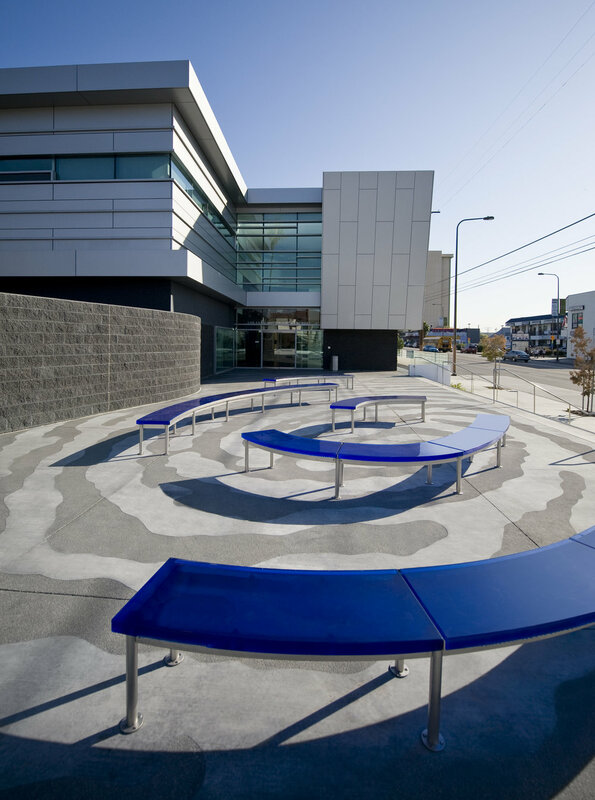 BluePrint is a public art commission for a new police station in downtown Los Angeles. The project was inspired by a fingerprint, a standard scientific device useful in police work. In this project the prints are emblems of both the people who live in the community and the police officers who serve them. One fingerprint is enlarged to create the paving pattern for the plaza, becoming a place to inhabit, and at the large scale taking on a topographic quality. 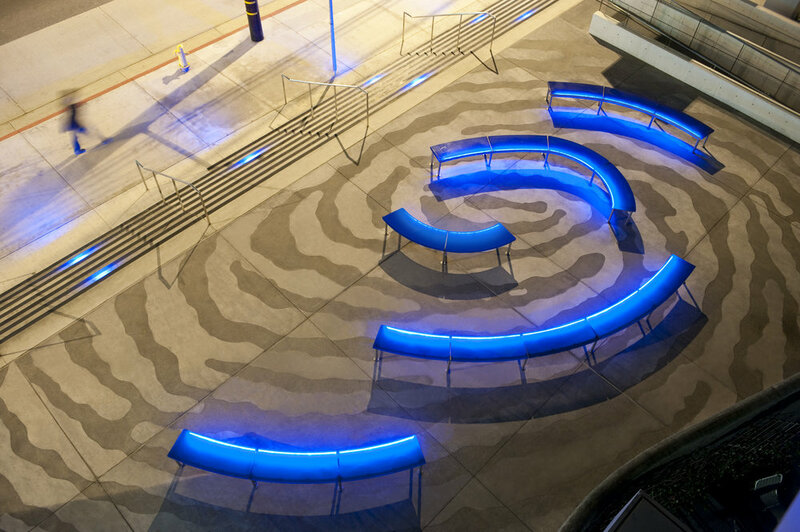 Arranged above the paving is a sequence of internally lit cast resin blue benches that invite visitors to use the space from day to evening. Within each bench are the traces of other fingerprints.